Have an outdated Sydney bathroom that’s screaming for a makeover? Remove the embarrassment from your life with NuDesign Bathroom Renovations. Providing complete bathroom renovations to residential properties across Sydney’s Inner West, Lower North Shore and Eastern Suburbs is our specialty. Want a practical design that is both visually spectacular and competitively priced? You found the right place. Working within your budget and requirements we ensure your satisfaction as our top priority. The best way to achieve an outstanding Sydney bathroom transformation is with our complete bathroom renovation. Changing tiles or adding a new vanity will never compare to a complete remodel which includes both of these changes and more. Now is the time to totally transform your bathroom giving it new life. You may be worried that your bathroom is one of the most expensive rooms in your home to renovate. You will be glad to know that we offer competitive prices and always maintain an exceptionally high standard of work. 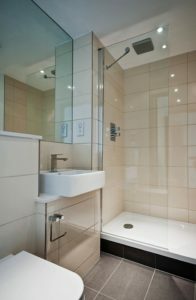 Sure you may find cheaper bathroom renovators in Sydney but be weary of this “cheap” providers. We will never sacrifice quality. Instead we provide superior work and sensational results at very competitive prices. We ensure value for money with outstanding results. Taking on such a large project should not be taken lightly. You need a Sydney bathroom renovation company you can trust. NuDesign Bathroom Renovations are fully licensed and insured with 30+ years experience. An Inner West family owned business, NuDesign Bathroom Renovations is comprised of a highly skilled team who maintain a standard of excellence. We always comply with local and national government regulations in the building and renovation industry. As such all our tradesmen are fully qualified, licensed, insured and highly experienced. It is not our goal to provide the cheapest bathroom renovations in Sydney nor the most expensive. Instead we focus on superior quality at competitive prices. Simply call us now or fill out our contact form. 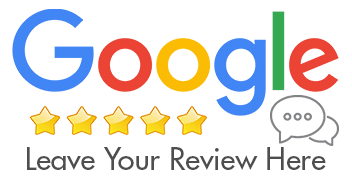 We offer no-obligation free quotes and we are sure that after speaking with our friendly and honest team you will be more than comfortable choosing us as you Sydney bathroom renovator. Sydney homes hold a certain class of style and character. And of course this varies between different regions and suburbs. When renovating any part of your home such as your bathroom you may want to incorporate the existing style of your neighbourhood or completely change it. No matter what style you want to achieve in your Sydney bathroom makeover we have the skills and expertise to deliver. Choose from a common design style below or leverage our professional bathroom designers to create a beautifully customised and unique design. Using a range of tiling options including Porcelain, Stone, Mosaic, Ceramic and Old English, we bring your chosen style to life. Add character and elegance to your home with an authentic classic style. Use natural materials and the clean styles that originate from modern design. Incorporate what is in-style right now with a fresh and unique design. Looking to renovate more than just your bathroom? With our laundry & kitchen makeovers we ensure your Sydney home has a consistent flow throughout. Laundries and kitchens contain many of the same design styles and building requirements as bathrooms contain such as plumbing, tiling, sinks, cupboards and vanities. For this reason bathroom, laundry and kitchen renovations are very similar to perform. By using NuDesign Bathroom Renovations for two or more renovations in your home you benefit from having a similar theme and only have to deal with one renovator. And of course you can rest assured that all work will be of an exceptional quality to be enjoyed for many years to come. What are you waiting for? Contact the team at NuDesign Bathroom Renovations Sydney, let us know your renovation ideas and what you want to achieve. There are absolutely no obligations when you contact us for a free quote. Give us a call today and let’s transform your home into a masterpiece your friends will be truly envious of.